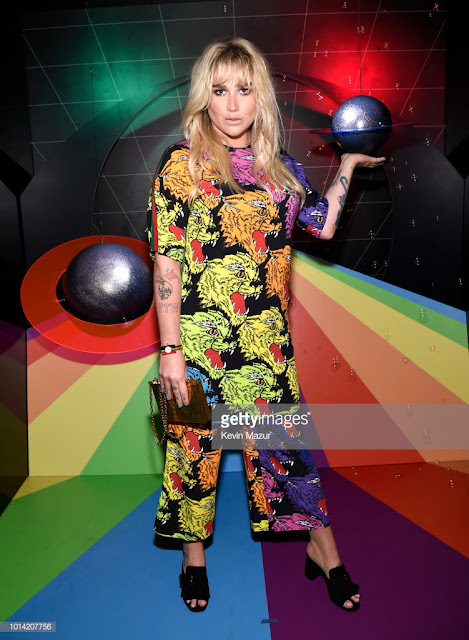 On August 9, 2018 Apple Music hosted the Premiere of Kesha's Rainbow- The Film at New York City's Metrograph and OJ&B was there for all the action! 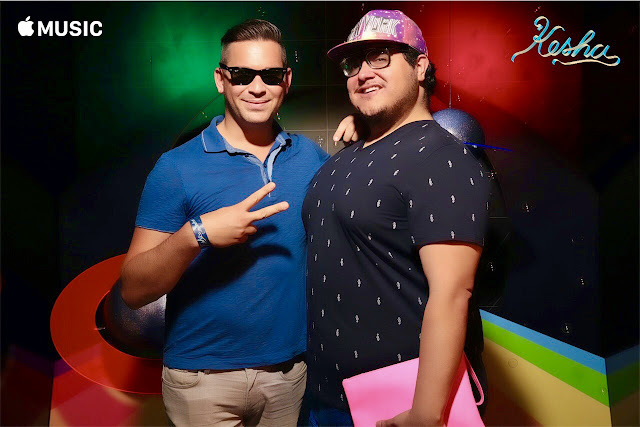 Kesha Stans and fans were treated to an exclusive private screening of film, a fabulous Rainbow themed photo booth, a branded bag of movie treats and soft drinks (what more could you ask for at a premiere)?! The documentary is an artistic and emotional look at the making of her Grammy-nominated album Rainbow which she recorded from 2014 to 2018. It also chronicles her journey to the Grammy stage where she performed her hit song from the Rainbow album, Praying. Kesha's album Rainbow came out during a time when I did not realize I really needed it! The very day that Rainbow came out I played it immediately not knowing what to expect and halfway through tears started coming down my face (when she hit the high note I completely lost it)! 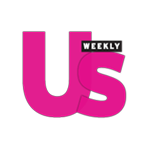 As many fans know the album addresses her horribly painful legal battle with producer Dr. Luke with accusations from Kesha of emotional and sexual abuse. I cried for her coming out on the other side stronger and more powerful but I also cried because I needed to hear words of empowerment that were raw and real. 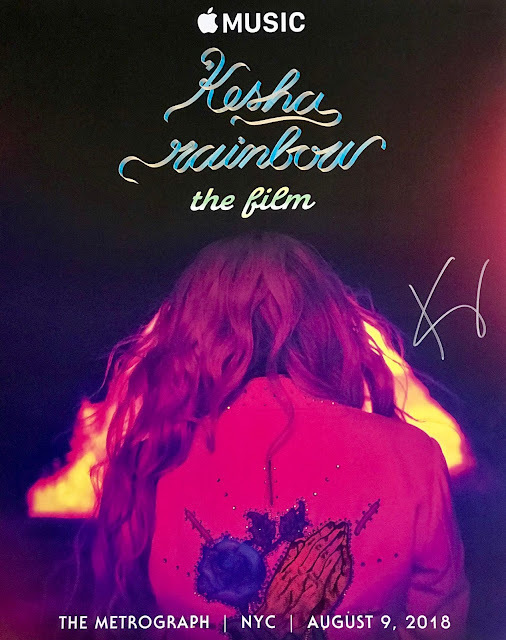 Raw and real is what Rainbow- The Film is and I encourage not only the Kesha Stans and fans to watch it (available today on Apple Music) but also anyone who needs to hear those words of empowerment. In a press release about the movie Kesha states, "I hope this film inspires others to never give up even if you feel full of hurt or lost, because after the storm comes a rainbow. Depression, anxiety and mental illness are things we all need to talk about more, and there is no shame in asking for help. Making the decision to work on yourself is the bravest thing you can do. I hope this film helps bring light and love to everyone." Just like that day when Praying came out, I found myself in tears at the end of the movie because yet again I did not realize how much I needed to hear those raw and real words of empowerment. Thank you Kesha for living, speaking and sharing your Truth with the world! Check out video and photos from the Rainbow- The Film Premiere below when Queen Kesha herself came to surprise the audience after the NYC premiere! !